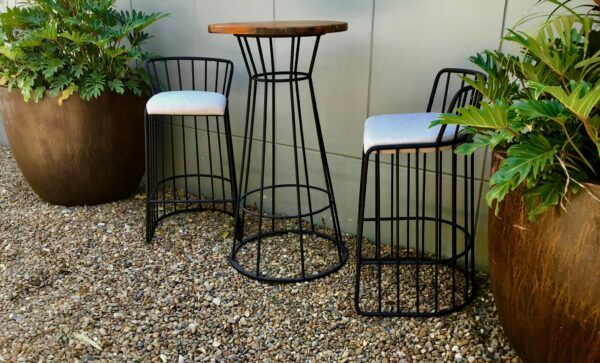 Excellent value 3 Piece Outdoor Bar Setting. Comprising of solid pine wood table top with matching upholstered bar stools will create a garden oasis or the perfect private retreat. 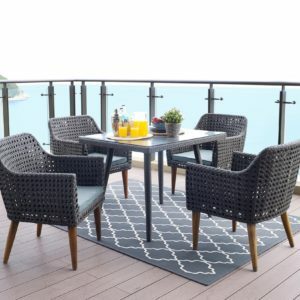 Set up this Outdoor Bar Setting anywhere you want to relax and have a drink. If you are lucky enough to have outdoor space where you live, then you have probably already put a lot of thought into what you want. You want the design to feel welcoming and stylish, yet also be practical and functional. 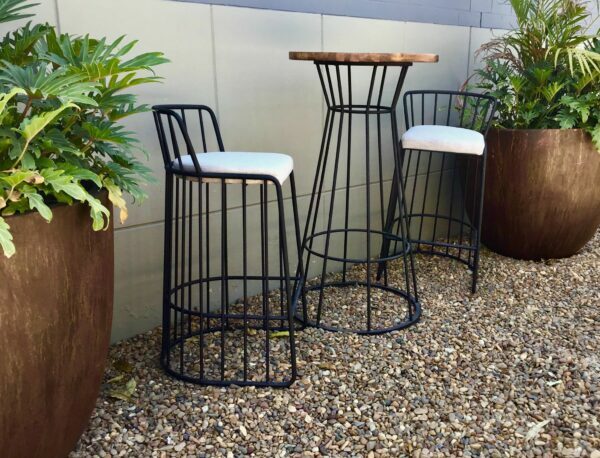 Our outdoor bar setting is perfect for small outdoor spaces. You can make it feel even more sophisticated by decorating with your favourite potted plant. If you have a large outdoor space think about creating a little nook for the bar setting! Perfect for gathering with friends for a drink.